While visiting Shepherdstown, West Virginia for the day, we wanted to have a special dinner. It seemed like there were three nice, fancier restaurants in town so I called all of them to inquire about their vegan options. 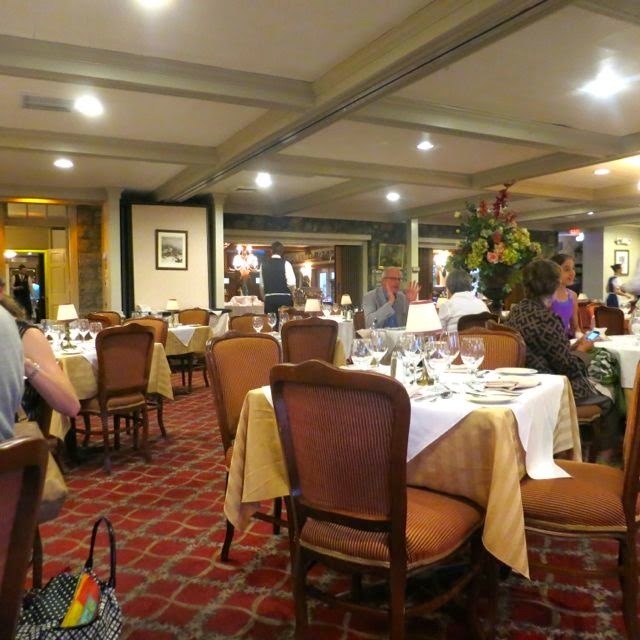 Bistro 112, the French restaurant, basically said they really couldn't accommodate. The Press Room and Bavarian Inn said they could, but couldn't tell me what would be served as it would be off-menu and up to the chef. So, I had to take a chance and I went with the Bavarian Inn. 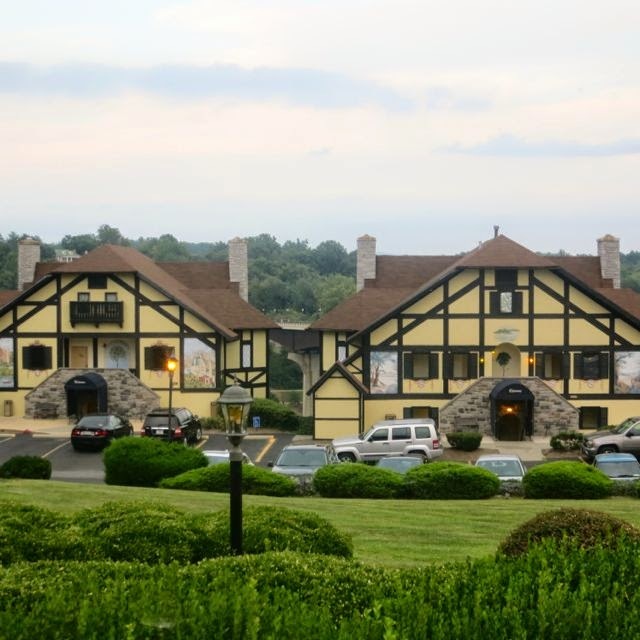 I chose the Bavarian Inn because I knew it was a beautiful setting. It's a hotel that looks like it is set in Germany with English tutor buildings and stone entrances. The restaurant is located in the main building. There is a casual dining area and a fancier one. We chose the fine dining room. We were seated at a small table near a window with a nice view. The carpet and furniture had an old, outdated look to it. I felt like I had gone back in time. The bread that was served was vegan so we snacked on it while waiting for the waitress to return. When she stopped by she explained that they could do something with a variety of vegetables and their pesto rice, which happened to be vegan. I thought that would be fine. 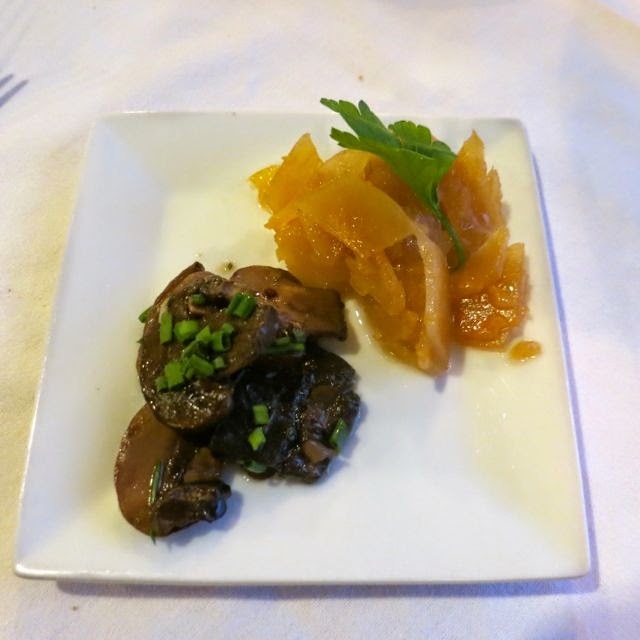 To start, the chef sent out an amuse bouche of mushrooms and rutabaga. It wasn't very good and I was afraid this was indicative of what was to come. I was right. 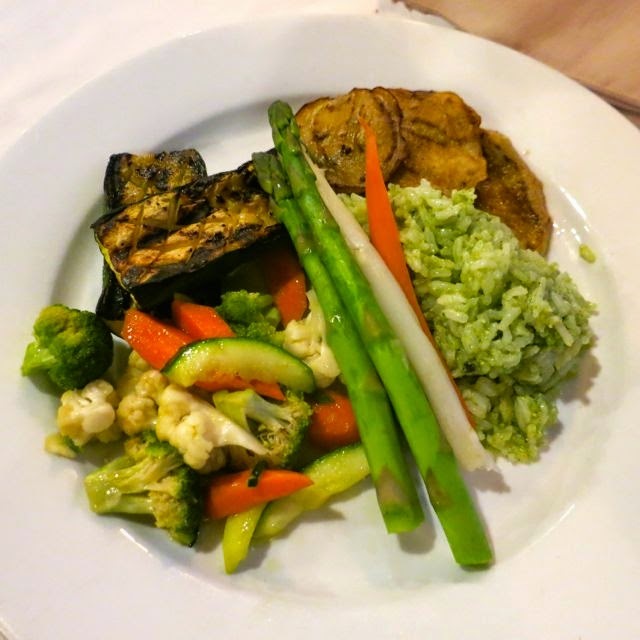 I was served a vegetable plate, but the vegetables weren't very good. The grilled squash was overcooked, but probably the best part of the dish. The eggplant was doused in oil and barely tasted like anything. The mixed vegetables were just plain. And the steamed asparagus was good because you really can't mess up steamed asparagus. Oh, and the rice wasn't very good at all. I was pretty disappointed. That's not to mention that the service wasn't great either. The server barely checked on us, we ran out of water, and it took forever for us to find someone when we had a question. For a $19 vegetable plate, I'd say this place left something to be desired. I wish I had gone to the more casual Blue Moon Cafe instead. Wow, that's really thoughtless of them to serve you such a lackluster meal and to give you such poor service.